Dan Kuiper, who resides in South Bend, Indiana, is a speaker, author, and life coach with a passion for helping those who have been wounded by a painful past. The son of an alcoholic father, Dan knows all too well how easy it is to carry our childhood fears, anger, and shame into our adult lives. all my years of counseling!" Whether good or bad, there are parallels between the relationship we have or had with our earthly father and the relationship we have with our Heavenly Father. Dan's book, When Father is a Bad Word, will take you on a journey--a journey toward intimacy with a Father whose arms are always open to His children. It is in His embrace that we find hope and healing for our father wounds. ​Order Dan's book here and he will include a personalized, signed greeting! To see more of Dan's videos and blog entries, click here. Trusting others--even God--is hard, especially when trust has been broken in our past. But as difficult as it may be, trusting God is the cornerstone of faith. For those experiencing brokenness in their lives, trusting God is also where healing begins. Teen Challenge is a wonderfully effective not-for-profit ministry that helps young people from all walks of life to find freedom and healing from difficult life circumstances. A Teen Challenge representative shared that participants in the program who have "father wounds" runs close to 100%. To help address that need, Dan has given his Finding Father's Love Seminar at several Teen Challenge locations across the country. Each participant has received a copy of Dan's book, When Father is a Bad Word. With your help, hundreds more young people can hear and read his much-needed message of hope and healing. Dan will offer as many seminars in as many Teen Challenge locations as there is funding for! If you would like to partner with him in that venture, please click on the DONATE NOW button above. Your tax-deductible gift to Finding Father's Love is an investment in the lives of young people who desperately need to discover the love of a Father who will always be there for them. Feedback from Teen Challenge participants on the FFL seminar has included words like "life-changing" and "unforgettable." ﻿Dan speaks on a variety of topics concerning family dynamics, personal and spiritual growth, finding healing for our brokenness. A sampling of topics may be found here. Dan is available for single presentations (keynote messages, conference addresses, civic functions, church services, chapels, school assemblies, commencement ceremonies), as well as half-day seminars, day-long workshops, and retreats. Dan speaks to men's, women's, and mixed groups of all ages. 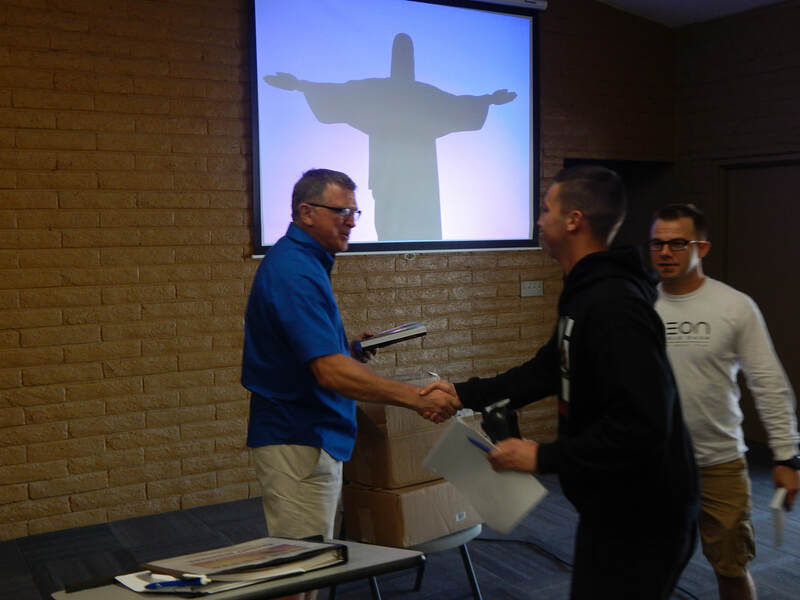 "Dan's teaching and humor were greatly enjoyed!" “I appreciated the passion, real-ness, and intensely personal nature of the talk." "It has changed my life and how I see my Heavenly Father." Finding Father's Love is a non-profit organization operating under section 501 (c) (3) of the United States Internal Revenue Code. All donations to Finding Father's Love are tax deductible.